The above is the full cover artwork created for Thomas Ligotti's "Noctuary" published recently by Subterranean Press. This marks the third in a series of newly revised and definitive editions of Tom's writings. I encourage anyone interested in the book to seek it out here. 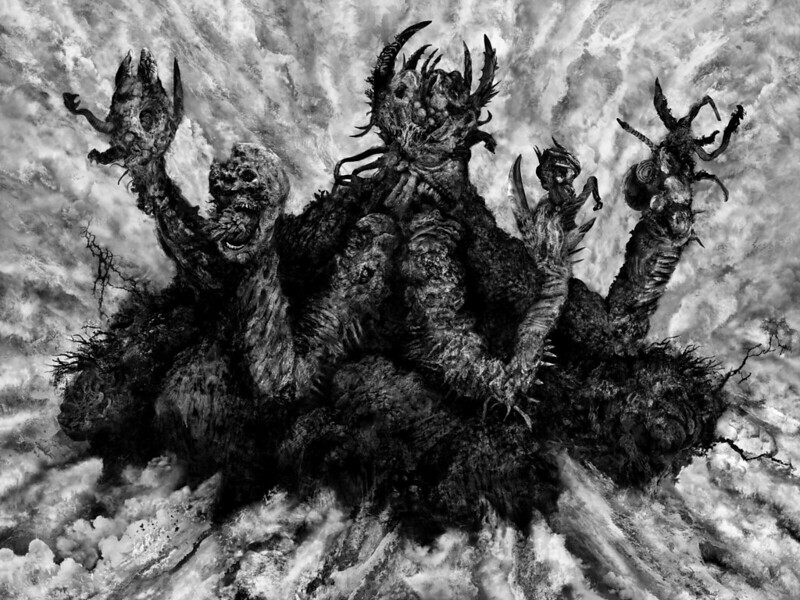 Available now is a limited edition of 100 prints of the cover artwork for Thomas Ligotti's Noctuary. The artwork is 24 x 32 inches on Hahnemuhle Fine Art Pearl paper, a triple coated, lignin free, 100% alpha-cellulose paper. It is an age resistant paper with a surface that is remarkably similar to a traditional silver gelatin double-weight photo paper. There is a quarter inch white border along the edges. The price is 150 dollars plus shipping. 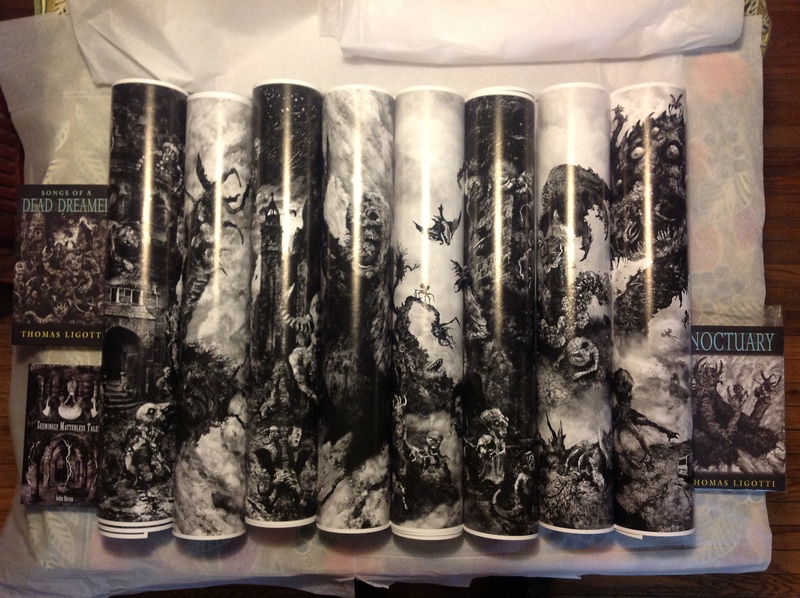 Each print will be signed and numbered, ready for framing and shipped rolled in a heavyweight mailing tube. If you're interested in the Grimscribe and Songs Of A Dead Dreamer prints, I still have some of those available. For anyone interested in all three prints, I have a unique item available, contact me for details. Please contact me at evilenergy@yahoo.com for further details on payment, etc. The above photo taken today is an assortment of the Ligotti artworks prior to packaging and sending them out. A masterful rendering of the Tsalal. Great job. On a side note, after Peake himself, you would be the best illustrator for the Gormenghast books.